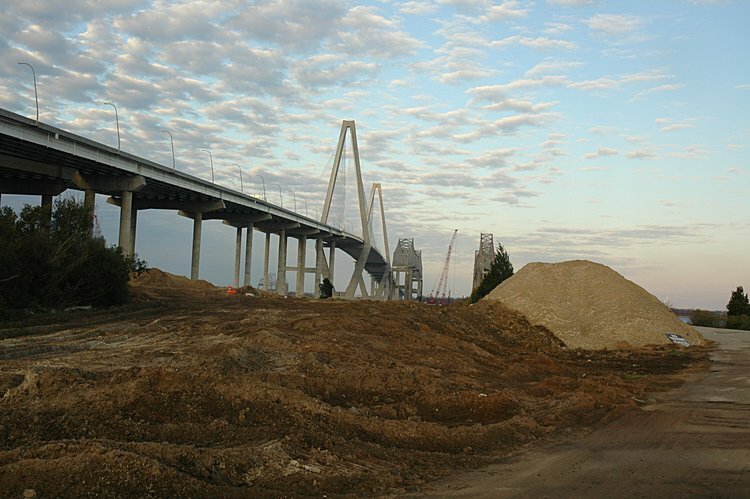 The Ravenel Bridge and Mammoet worksites on the Pearman and Grace superstructures. 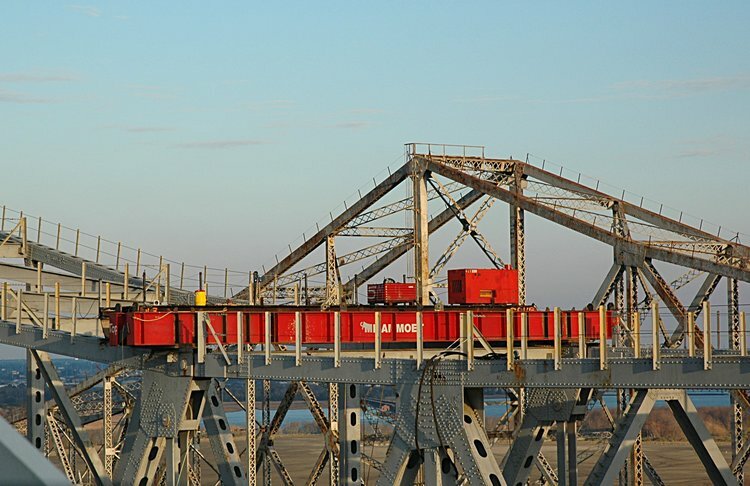 The Mammoet beams span the width of the bridge superstructure and support the hydraulic jack assemblies. An end view of a Mammoet beam over the east pins of the Pearman. 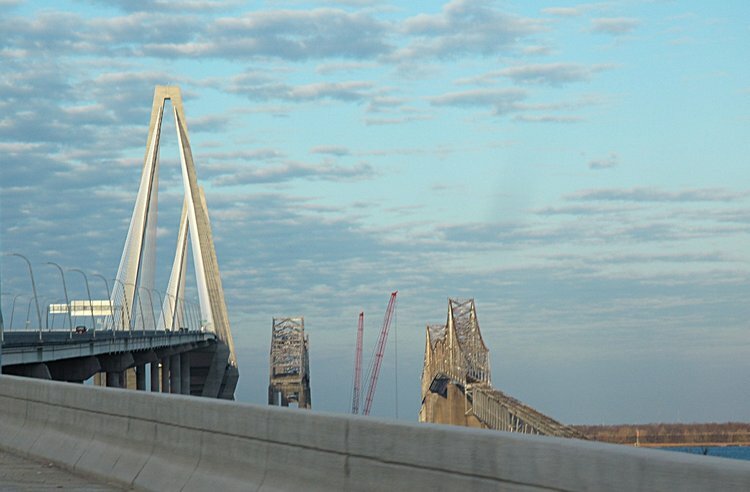 These pins connect the main span with the east cantilever section. Here is a photo of one of the hydraulic jack / umbrella assemblies from Tuesday. Note that the cables on the left pass through the hydraulic jack, over the umbrella and then down. 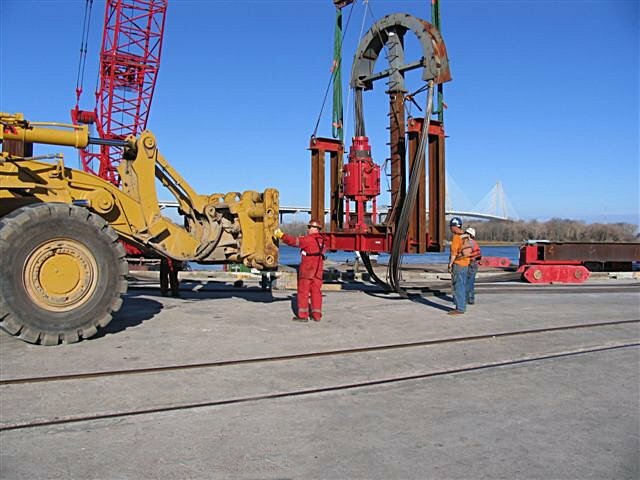 These cables (right) will be attached to the end of the main span adjacent to the pins. The Red team is Mammoet while the Orange team is Testa. A Mammoet beam over the west pins of the Pearman. 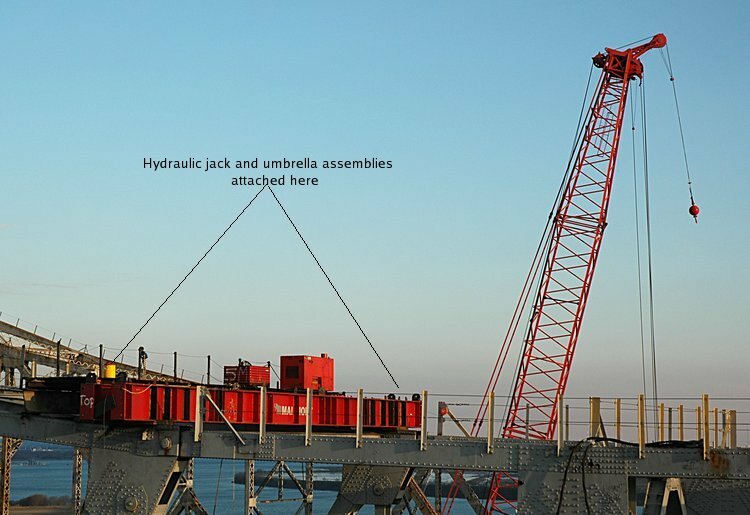 Hydraulic jack / umbrella assemblies will be placed on each end of these beams and the cables attached to the main span for lowering it onto a barge below. 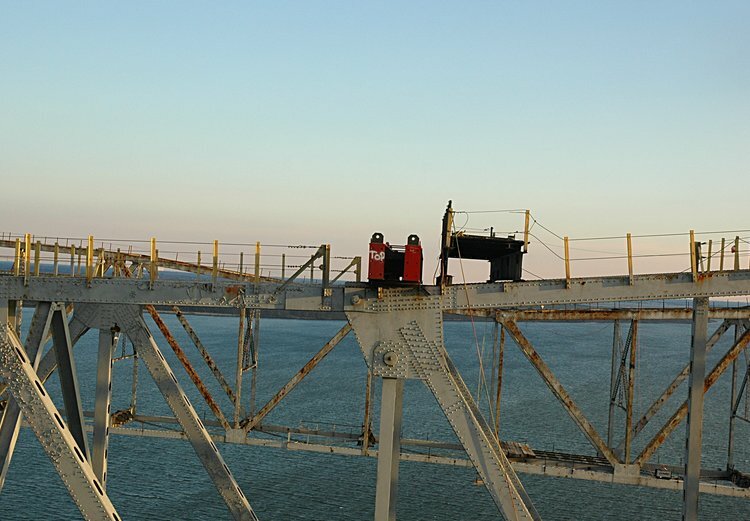 A wider view of the west Mammoet beam attached to the Pearman superstructure. Meanwhile, back down under, a quick look at the Coleman Recycling Center. Looks like all the recycling has been accomplished, and reef transplantation is in progress. 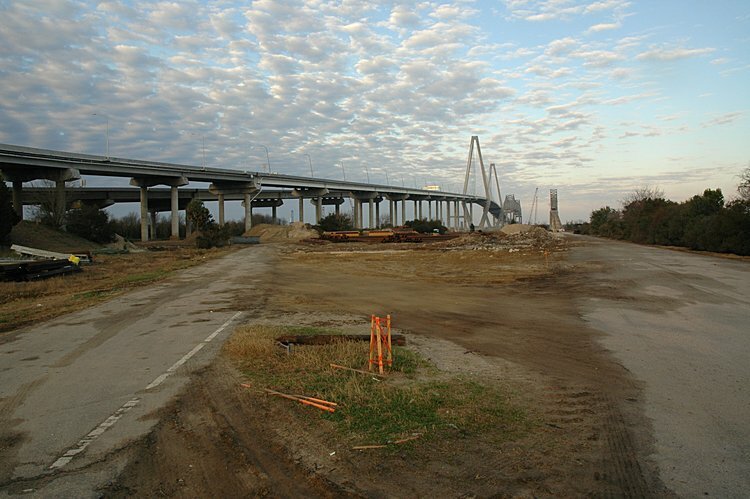 A look at what used to be the on ramp for the Pearman Bridge. Leon did this while some of the Testa team was snowbound in Boston (last Monday).